If you’re looking for a new way to fundraise that will last longer than a candy bar or candle fundraiser, a brick fundraiser may be just what you need. We’ve all seen them in parks and on walls of public buildings, and there’s no doubt they look attractive. More importantly, however, they raise money for your cause and provide your contributors with a lasting memorial that will remind everyone about their contribution to your cause. The bricks may even give them some good publicity. It’s a nice touch and can be as artistic as you want it to be. First of all, you’ll have to contact a company that specializes in brick fundraisers. They’ll help you design a layout for your brick, which will include the engraving or embossing and any graphics. You’ll also decide the font for your contributors’ names. Companies will allow you to choose how many lines and symbols you want to offer your contributors. They may provide an order form, or you may need to create your own. Remember, you need to take money and orders in advance. If you don’t have the money, you can’t give your contributor a brick – once a brick is made, it can’t be unmade. If the contributor pulls out at the last minute, you’ve lost money. Go in with your list of contributors all ready so that you know exactly how many bricks you’ll need to buy. 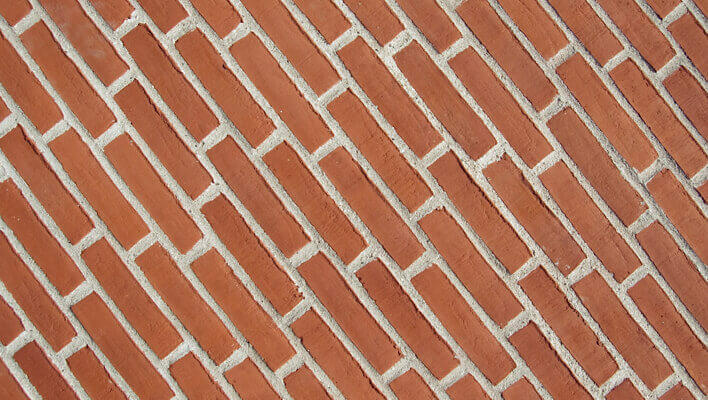 Place one large order with the brick company to ensure that the bricks are all the same color. Check with the company to make sure that if you want to add to your project later with more contributors, they can accommodate your needs and that they’ll have the bricks available. The bricks may be sandblasted or laser engraved, depending on the company’s process. Once you’ve got your bricks, the next step is to build the walkway or the wall. Your charity will probably have to do this yourself, so it helps if you have any members who are knowledgeable about building. This will save on funds and overhead costs. If you don’t, then you’ll have to hire a professional masonry contractor. You may be able to get one that will donate their time and labor to you for a discount or for free, especially if you give the company their own brick on the wall or walkway or provide free advertising throughout the fundraising project. Brick fundraisers can make you a bundle – from 300% to 1000% profit. This depends, of course, on the cost of the brick and how much you sell them for. Get together with your fundraising group and decide on the cost of the brick. You might want to do some research among brick companies first to figure out how much the bricks will cost to make and how much shipping will be. Go for something relatively cheap, but make sure it looks nice, or your contributors won’t want to buy any bricks. Hospitals, universities, churches, and other large groups will probably be able to charge more than smaller groups, because their network is bigger and they have more funds upfront. So you’re almost sold on the idea – but you want to know what the advantages and disadvantages are of doing a brick fundraiser. The advantages are quite strong – not only can you make a large profit, but you also make something beautiful for the landscape or building that will last for years and years. Also, your contributors have a lasting memorial to their contribution, and maybe even free publicity. People look at those walls and walkways all the time. As well, you are establishing valuable contacts with your contributors, which mean that they may consider donating to other fundraisers that you put on in the future. The main thing is, if you can do this cheaply (labor and brick company costs), you can make a lot of money, and that’s the most important thing. However, there are disadvantages to brick fundraising, too. The cost of the bricks may be high to contributors, turning them off of the idea of buying one. Putting on a brick fundraiser does take a lot of labor and volunteers, also, and it also takes a lot of coordination with the contractor and your volunteers. However, with good time management and open communication, you should be able to overcome that obstacle. If the memorial takes the shape of an outdoor walkway, you may also have to contend with the weather. For this reason, try to build it in the summertime so that you’re ensured good weather. Also, beware of companies that have a minimum number of bricks that have to be ordered – if most companies you come across have this stipulation, then make sure you have at least that many contributors so that you don’t have any bricks left over. Brick fundraisers are a great way to create a beautiful addition to a building or a landscape while raising money for a good cause. The best thing about them is that everyone will always remember your contributor’s donation – because it’s right up there on the wall or at their feet on the walkway.